This has been hard work! Originally I thought I'd break the survey down over two or three posts but once I got started I just kept going and have really enjoyed reliving my Classics journey. And I'm loving reading every else's too. I joined the Classics Club on the 9th March 2012 and committed to reading 60 classics in five years. So far the total is 38/60. November is AusReading month so at present I'm reading an Australian classic - We of the Never-Never by Mrs Aeneas Gunn. 4. What did you just finish reading and what did you think of it? 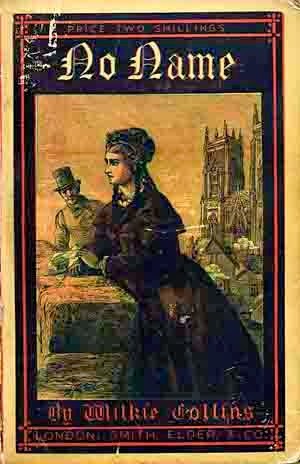 I have just finished No Name by Wilkie Collins which I'll be writing a post for this coming week. I did enjoy it but not as much as his two better known novels The Woman in White and The Moonstone. 5. What are you reading next? Why? Next up is Ethan Frome by Edith Wharton because it was my Classics Club spin winner. And for obvious reasons Christmas Stories by Charles Dickens. 6. Best book you’ve read so far with the club, and why? Germinal by Emile Zola and The Mill on the Floss by George Eliot. I never like making these choices and there are so many I could name but these two do stand out. Both of them made a big emotional impact on me and both of them I finished knowing I would be rereading some day. 7. Book you most anticipated on your club list? Definitely Germinal - I'd been reading glowing posts about it for so long yet it still took me two years after buying a copy to finally read it. 8. Book on your club list you’ve been avoiding, if any? Why? 9. First classic you ever read? 10. Toughest classic you ever read? 11. Classic that inspired you? or scared you? made you cry? made you angry? Little Women by Louisa May Alcott did all of those things when I first read it - I was about 12 years old. 12. Longest classic you’ve read? Longest classic left on your club list? The longest title left on my list is Kristin Lavransdatter by Sigrid Undset at 1144p. 13. Oldest classic you’ve read? Oldest classic left on your club list? Oldest I've read would be Shakespeare. Still on my list - Beowulf. 14. Favorite biography about a classic author you’ve read? 15. Which classic do you think EVERYONE should read? Why? When people start telling me what I should be doing I switch off! Not for me to tell anyone what they should be reading. 16. Favorite edition of a classic you own, if any? 17. Favorite movie adaption of a classic? 18. Classic which hasn’t been adapted yet (that you know of) which you very much wish would be adapted to film. 19. Least favorite classic? Why? A Farewell to Arms by Ernest Hemingway - I had a feeling I wouldn't like this author and I didn't. 20. Name five authors you haven’t read yet whom you cannot wait to read. From my current list Sigrid Undset, John Galsworthy, Sir Walter Scott, Angela Thirkell, William M Thackeray. 21. Which title by one of the five you’ve listed above most excites you and why? Kristin Lavransdattar by Sigrid Undset is a trilogy - medieval historical fiction set in Norway. I've wanted to read it for a long time but I have to buy a copy and other titles keep taking priority. I read Charles Dickens when I was young and decided he was too slow and longwinded for me but added him to my CC list and read Our Mutual Friend which I loved and then Bleak House which I also loved. Time changes many things. 23. Which classic character can’t you get out of your head? 24.Which classic character most reminds you of yourself? 25. Which classic character do you most wish you could be like? 26. Which classic character reminds you of your best friend? Never given a thought to questions like this. I'm quite happy being me! 27.If a sudden announcement was made that 500 more pages had been discovered after the original “THE END” on a classic title you read and loved, which title would you most want to keep reading? Or, would you avoid the augmented manuscript in favor of the original? Why? I think I would let sleeping dogs lie unless the original ending had left me completely dissatisfied. 29. Who recommended your first classic? They appeared every year in my Christmas loot so I guess I can say Santa did! 31. Favorite memory with a classic? My father reading The Wind in the Willows to us - he did wonderful voices and really made the story come alive. 32. Classic author you’ve read the most works by? 33. Classic author who has the most works on your club list? I tried not to have too many of any authors but Thomas Hardy, Elizabeth Gaskell, Anthony Trollope and Emile Zola all have three. 34. Classic author you own the most books by? 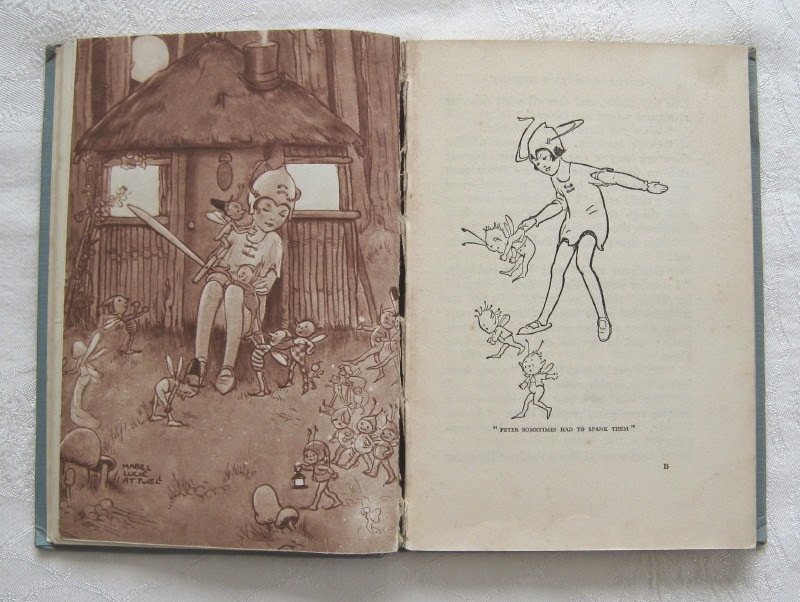 E.F.Benson - I picked up a set of 7 of his books at the Book Fair in 2013. I can't answer this one - my list is in a constant state of change and I've added far too many to list.......even if I could remember which ones they are. 36. If you could explore one author’s literary career from first publication to last — meaning you have never read this author and want to explore him or her by reading what s/he wrote in order of publication — who would you explore? Obviously this should be an author you haven’t yet read, since you can’t do this experiment on an author you’re already familiar with. :) Or, which author’s work you are familiar with might it have been fun to approach this way? This isn't something I would decide to do without having read something by the author and liking him/her enough to want to attempt it. I would far rather do as I plan with Emile Zola - having read Nana and Germinal I am going to start at the beginning of the The Rougon-Marquart series and read them in the recommended order. 37. How many rereads are on your club list? If none, why? If some, which are you most looking forward to, or did you most enjoy? I was never much of a rereader before the Classics Club and only added two to my original list. Wuthering Heights and Jane Eyre I read as a teenager and thought I might appreciate them more now. I read WH last year and it was nothing I remembered it and I'm seeing the value of rereading more now and will definitely be having more on my second list. 38. Has there been a classic title you simply could not finish? One Hundred Years of Solitude by Gabriel Garcia Marquez - I loathed it. Too many people with the same name and so boring! 39. Has there been a classic title you expected to dislike and ended up loving? 40. Five things you’re looking forward to next year in classic literature? Joining the readalong of The Forsyte Saga by John Galsworthy . Generally just enjoying all the events held by the Classics Club and by its members. 41. Classic you are DEFINITELY GOING TO MAKE HAPPEN next year? 42. Classic you are NOT GOING TO MAKE HAPPEN next year? I don't have anything that I feel that strongly about. 43. Favorite thing about being a member of the Classics Club? Being part of a community - it inspires and motivates and keeps my enthusiasm high. 44. List five fellow clubbers whose blogs you frequent. 45. Favorite post you’ve read by a fellow clubber? 46. If you’ve ever participated in a readalong on a classic, tell about the experience? If you’ve participated in more than one, what’s the very best experience? the best title you’ve completed? a fond memory? a good friend made? I've participated in several readalongs and prefer the longer ones which are an excellent way to read the chunksters that keep getting pushed to the bottom of the TBR. The two best experiences have been Musashi in 2010 and Clarissa in 2012. Both very long books that aren't easy reading but sharing the experience was very motivating and kept me going when I longed to give up. 47. If you could appeal for a readalong with others for any classic title, which title would you name? Why? The Brothers Karamazov - I'm avoiding it! 48. How long have you been reading classic literature? All my life on and off but it's only been in the last six years that I've taken it as something more than just reading. There is purpose and appreciation, the search for understanding - I read so much slower these days which is definitely a good thing. 49. Share up to five posts you’ve written that tell a bit about your reading story. Reviews, journal entries, posts on novels you loved or didn’t love, lists, etc. Classics Club - I'm Halfway! 50. Question you wish was on this questionnaire? (Ask and answer it!) Pass! I thought about breaking the survey down into shorter sections too, but I ended up answering all 50 at once. I'm pleased to see you've picked Germinal and The Mill on the Floss as the best you've read so far - they are both on my Classics Club list so I'll look forward to reading them. And thanks for the mention! You will love both those classics, Helen. Congratulations on making it through the forty-nine. I have exactly the same relationship with Kristin Lavransdattir, but I'm hoping next year will be THE year. I said that this time last year and it still hasn't happened. I keep getting sidetracked. I'm enjoying reading these surveys, everyone has such different lists, and different likes/dislikes. I know I've read something of Hemingway, many years ago now, and I don't plan to read more. It's not the length that bothers me but making sure I buy the best translation......and it is expensive. I quite liked some of his short stories which I read before attempting the novel. I've read positive comments on The Old Man and the Sea so I might try that one day but not in any hurry. I should have also said thank you for the mention - but I'm not technically in the club. I wish I'd known you have Kristin on your list. I gave my copy to the library sale after I finished it. If I see it for sale, I'll grab it for you. It's the translation JoAnn mentions below. The Kristin Lavrandsatter books are wonderful! Be sure to read the newer Nunnally translation though... I actually started out reading an older one and had to switch. Yes, I'm afraid Clarissa has left a lasting impression on all of us. I had read to be careful of which translation of KL I buy so thanks for giving me a name to look for. Look forward to reading your survey answers. I loved reading this - really enjoyable. I'm glad you enjoyed No Name, though I agree it isn't as good as his more well known novels. Ethan Frome is great, but quite sad. I may have to give this survey a go! I hope you will, Ellie, - it's fun to look back at the reading experiences. Will be reading Ethan Frome as soon as the Aus Month ends - will have the tissues on hand. If no read-along of Brothers Karamazov appears I'll read along with you if you like - I've been meaning to re-read it. Can't wait to start the Zola series but being patient until Christmas has come and gone. I'm in no real hurry for the BK - don't want to overload if I go ahead with Fanda's challenge but if you decide to do reread let me know and I'll join you. Well done to you :-). Very seldom I don't finish a book but this one was just too much weirdness. I can't wait to read The Mill on the Floss!! 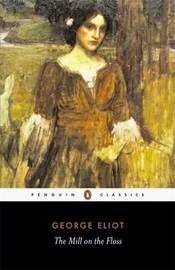 I read Jane Eyre a few years ago, but I probably need to reread it in a few years to see if my view of it has changed! I enjoyed your answers!! I hope you will love he Mill on the Floss and Maggie as much as I did. Ah, I've finally had a moment to take to read your post. Very fun! I haven't read either Germinal or The Mill on the Floss yet, so I have them to look forward to. There's a Forsyte Saga read-along? Oh no! Temptation strikes! I will probably join Fanda's Literary Movement Challenge too. I'm so glad to hear that you live in a constant state of change too. I looked at my planning for 2014 list yesterday, and other than my C.S. Lewis Project, I read almost nothing on it. How embarrassing! But I prefer to go with the flow and find book much more enjoyable if I can choose them as they catch my interest. I really enjoyed reading all your answers! This would never have worked for me if the original list was set in stone - I very much go with the flow of my fancy. I think it is heavenali who will be hosting the Galsworthy readalong - nothing official yet. 2015 is looking very much like a Classics year! Ok, you are the second person to say you loved Germinal. Why have I not read this yet?! ?